Make no mistake about it, the Sony α6400 will be a speedy little one, where it lays claim to having the world’s fastest autofocus (AF) acquisition of 0.02 seconds. In addition, it also has a new advanced Real-time Eye AF and real-time tracking capabilities. 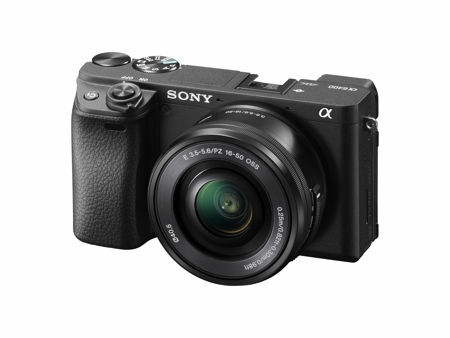 To impress the masses further, the Sony α6400 comes with high-speed shooting at up to 11 fps with AF/AE tracking, a new-generation BIONZ X image processing engine which will be able to produce excellent image quality, 4K video recording, and a fully 180-degree tiltable LCD touch screen among others. It also boasts of 425 phase-detection AF points and 425 contrast-detection AF points which have been strategically placed over the entire image area, where it will cover approximately 84 percent of the image area. Spicing things up would be the Real-time Eye AF, which will make use of artificial intelligence based object recognition in order to detect and process eye data in real time. This results in vastly improved accuracy, speed and tracking performance of Eye AF. When you are in the autofocus mode, the camera is able to automatically detect the eyes of the subject, where it can even choose to concentrate on the preferred eye (left or right) of the subject as the focus point. Keeping the Sony α6400 company would be a slew of image processing algorithms from Sony’s newest full-frame cameras, which further suppresses noise while preserving resolution and improving texture depiction. Expect the Sony α6400 to ship in February 2019 for a recommended retail price of $900 apiece.